Danubius has a long tradition of dealing with the storage, drying and circulation of cereals. The total capacity of silo cells is 65,000 tons. In 2009, the Continuous dryers on the gas of the manufacturer Schimdt - Seeger, with a capacity of 50-70 t / h, were installed. We have aspirators of the last generation Schmidth-Seeger (240 t / h for wheat and 100 t / h for corn). Aspiration and an efficient dust collection system are of great importance for the cleaning of grain mass and the preparation of cereals for storage and further processing. 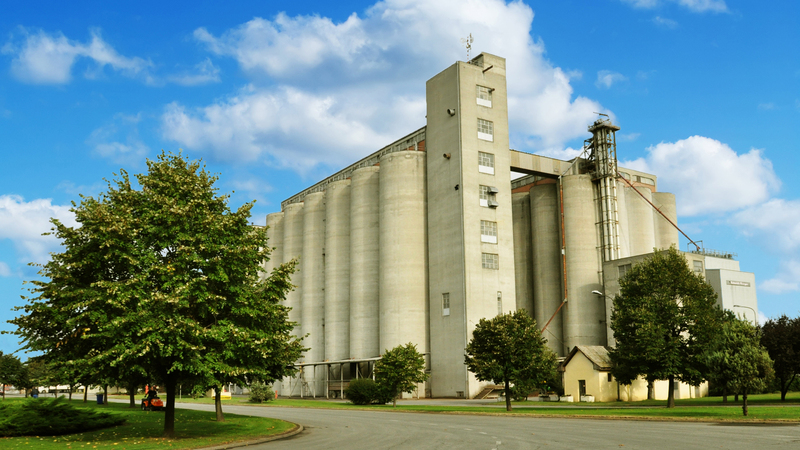 Within the silo there are two input / output scales of 60 tons, three reception points with sculpture ramps, machine houses and silos thermometers for temperature monitoring. A modern computer-controlled mill with a daily output of 300 tons of wheat from which the best quality flour is made for all purposes. The mill of the Swiss manufacturer BUHLER has been operating since 2009 and is the most modern in Serbia. The SORTEX allows for the absence of all atypical forms in the final stage of wheat purification, based on differences in appearance, color and shape, and thus the grain mass releases all the ingredients. We have a 3,000-liter flask for silos. Flour is supplied in packs of 0.9 kg, 1 kg, 10 kg, 25 kg, 30 kg and 50 kg and bulk. Quality, types and different flour packages fully meet the needs of the bakery, pasta and confectionery industry. The pasta factory has a tradition since 1918. The current capacity of the factory is 15,000 tons per year. Since September 2014, a short pasta is produced on the latest line of the Italian manufacturer Fava, which uses the latest drying technologies to ensure high quality dried pasta. By introducing the highest standards in our factory, such as FSSC 22000, we guarantee the safety of our products. The Danubius pasta factory produces pasta from pure wheat durum powder and from domestic wheat grains, which is produced in our state-of-the-art mill and enriched with vitamins A and D3.